I don’t usually make New Year’s resolutions, but this year I’m going to make a point to read 50 fantasy books. I’m going to focus on award winners/finalists, LGBT books, books by POC, and I’ll also likely do some reading specifically for the Nebula awards in 2019. Since I joined the SFWA last year, I’m able to nominate books, so later in the year I’m sure I’ll be stacking my TBR pile with books that are eligible for awards. 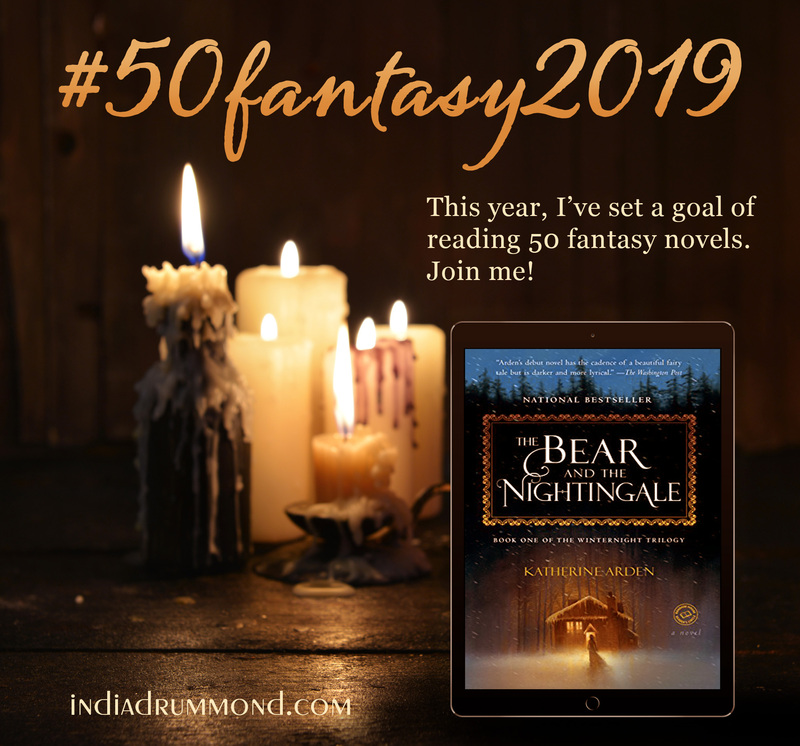 My book I chose for 2019 is The Bear and the Nightingale by Katherine Arden. I chose this one because I enjoy folklore and this seemed a different sort of book than I usually read. I’m in the mood for something new! I plan to post one a week (ish), and I’ll be sharing on Facebook, on Instagram, and Twitter, so follow/post where it suits you! Just be sure to either use the hashtag #50fantasy2019 or @ me so I’ll see it! Let’s read together!